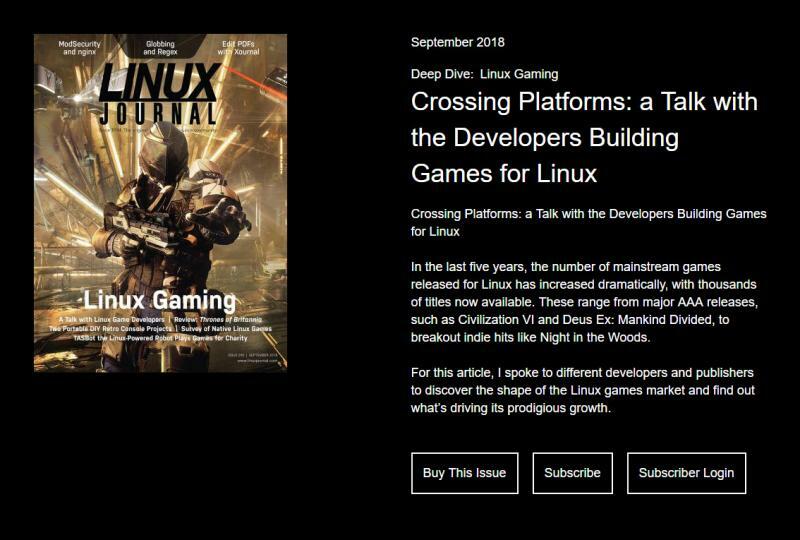 Games for Linux are booming like never before. The revolution comes courtesy of cross-platform dev tools, passionate programmers and community support. Join us this month as we take a Deep Dive in to gaming. Would You Like to Play a Linux Game? Glyn Moody's Open Sauce: What Is the Point of Mozilla? Subscribers, you can download your September issue now. Not a subscriber? It’s not too late. Subscribe today and receive instant access to this and ALL back issues since 1994!